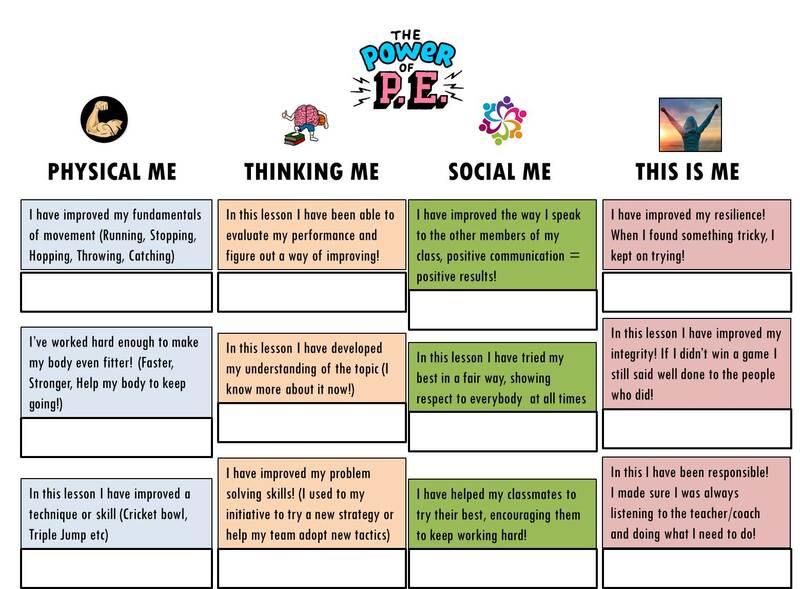 I believe kids should be as active as possible in P.E lessons – but I also wanted to help our kids reflect on their perceived progress. So I’ve had a go at creating a self-assessment sheet to help guide this process. The idea is for each child to have one of the sheets, once they have had their P.E lesson they look at where they think they have improved and make a mark in the box below. Teachers can then set rules such as you can only make 1/2/3 marks per lesson. Once a child gets 5 marks under a box they have to explain to the class why they think they’ve improved and get a reward of the teachers choice!